Welcome home to this Brookline model loaded with upgrades on a corner lot in the Estates at Princeton Junction community. Enter into the spacious, open floor plan that sports a fresh coat of neutral paint and notice the crown moldings adorning the living room and the tray ceiling in the dining room. Beautiful hardwood flooring flows throughout these rooms, the hallway leading to the bathroom, bedroom and laundry room, and the upstairs hallway. A deluxe kitchen with breakfast area features Granite countertops, wood cabinetry and stainless steel appliances including a brand new cooktop and dishwasher. French doors lead you to the paver patio and lush backyard. The great room boasts a brick fireplace and 5 speaker Bose sound system which also is wired with 2 speakers in the master bedroom. The upstairs is greeted by a luxurious master bedroom with tray ceilings as well as a generously sized sitting room. The master bathroom is also quite large and features classic and neutral tiles. The additional 3 bedrooms round out this floor. The home was built in 2008 and has been well-maintained. The Renni tankless hot water heater and washing machine is 1 year old. Community amenities also include a clubhouse, swimming pool, fitness center, tennis courts, and playground. The location is ideal, with close proximity to the Princeton Junction train station, shopping malls (i.e. approximately 3-4 minute drive to Market Fair, 5 minute drive to Quakerbridge Mall), major highways, etc. 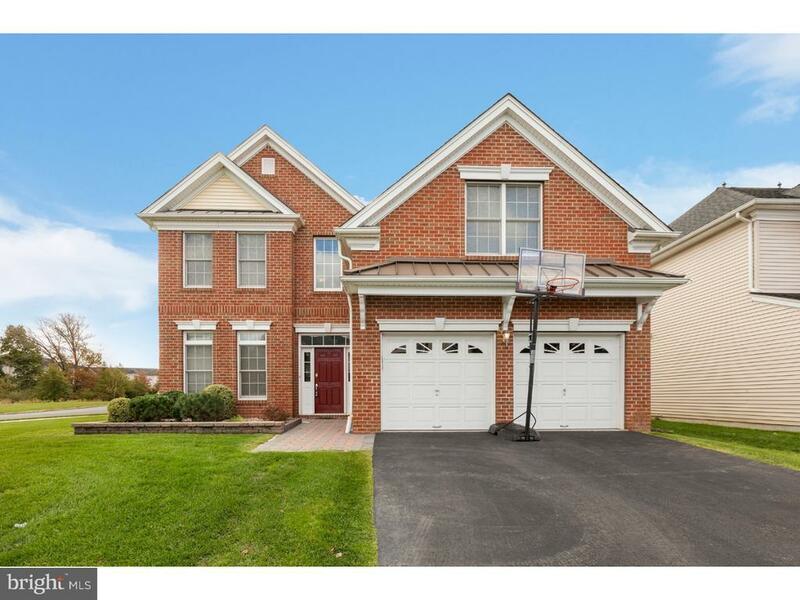 Located in the Blue ribbon and highly ranked West Windsor-Plainsboro school system. Directions: From Alexander Rd, turn onto Bear Brook Rd then turn onto Greylynne Dr.